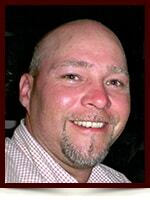 Ronald McDuff - Edmonton's Burial & Cremation Professionals | Trinity Funeral Home Ltd.
On July 29, 2015 Mr. Ronald McDuff passed away suddenly at the age of 46 Years. Left to cherish his memory is his loving wife Allison nee Chysyk; his three young children: Roy, Kaitlin and Hanna; his mother Corolla Baker; his father Roy (Judy); his brother Dustin. The parents of Allison; Veronica and Morris Chysyk; along with her siblings and their families. As well as numerous relatives and many dear friends. 13120 116 Street NW Edmonton AB. The only man who hugged more than I did. We spent many years of our youth enjoying the best of times and helping each other through some bad times. Although we lost touch when I moved away, every time I saw you afterwards it was guaranteed to warrant a hug. Rest in Peace buddy! Allison, My deepest sympathy! May my thoughts of sympathy help to ease your pain at this difficult time. My prayers are with you, Roy, Kaitlan & Hanna. I was away and just heard the loss of Ron. I am greatly saddened. My prayers are with you all. Allison, My deepest Sympathy! May the thoughts of my sympathy help to ease your pain at this difficult time. My condolences and prayers for the entire family, I met Ron 12 years ago and we quickly became friends through the sport of Disc Golf where I have met the best friends a guy an ask for, as we have remained friends through all this time, Ron was always happy to see you and his hugs were the best, he will be deeply missed by all his peers and the entire disc golf community send their love, may the light shine upon your family and guide you towards your destiny. Farewell my firend. I’m so sorry for your loss. Praying for your family in this sad time. A friend for 30 years, although not as close as when we were young, I know you had reached the life and family you always wanted. Gone too soon but never to be forgotten. Rest well Ron. My heart goes out to you and your children. Although I did not get the opportunity to get to know Ron, I did know Allison and saw the effects of all the love he had for his children and the love of his life, Allison. I pray for your family that you may find some sort of peace in this sad time. Sending all my love and support. My deepest sympathies for the lose of a proud husband & father. My thoughts and prayers are with you in your time mourning. Sorry for your loss, a good man gone too soon. Our condolences to your great loss of a Father and Husband. You will keep all his memories with you forever, Keep them close they will help in this sad time. All our love to you and the children. i wanna say thank you Ron. I met you with Roberto ziccerrilli at windshield surgeons for a short time. You were all heart and proud of the things in life what you were learning and teaching your family. Let us pray Heavenly Father thank you for Ron in our lives who got to know him. You taught him well and now you have brought him home to live with you. I pray his wife and 3 children that you give them all strength and to heal the scars that the family has right now. Teach the family and comfort them as well let them know he’s in a safe place until the rest of the family comes to eternity with Ron McDuff thank you so much we can call upon you and have comfort in your name. Thank you in Jesus precious name amen. You were the greatest driver whom I ever worked for and had the privilege to be trained by from day 1 until now. I will never forget our travels and adventures together and will take my time in writing them out so that your children will know and never forget what a great man you became. To Allison and the children it is a sad day and I would like to express my deepest sympathies from me and my wife. Our thoughts are with you. With our deepest condolences on your loss. I worked with Ron at highlands and his smile and wonderful laugh filled the office. Ron always spoke of yourself Allison and the 3 children and when he did his face had a glow of pride and love fir the 4 of you. Ron took Tyler under his wing on Tyler’s first summer at highlands and treated a 15 year old with respect and caring. Tyler always came home with stories about “Ron”, every night. We will both miss his wonderful smile and caring demeaner. With our deepest sympathies to you and your family, a wonderful man has been taken far to young. Words do not accuratly convey my emotions at your loss. The man we lost was a great friend and superior, skilled driver.He spoke of his wife and children with a gleam for them all. His kids front and center of it all. I’m honored to have been a part of his world and shall treasure my memories of him for the rest of my time on this side of eternity. Peace to you all. My deepest condolences to the McDuff family.